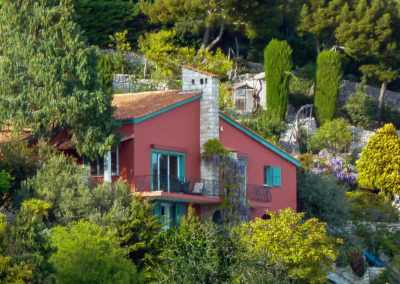 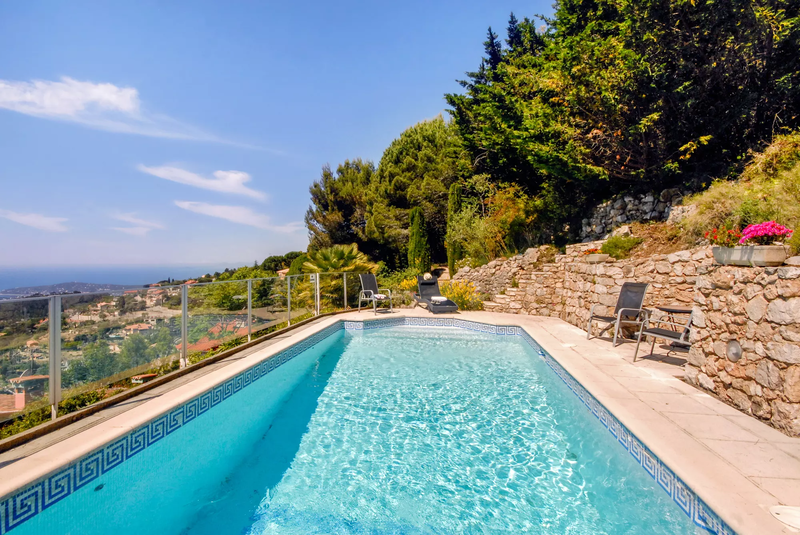 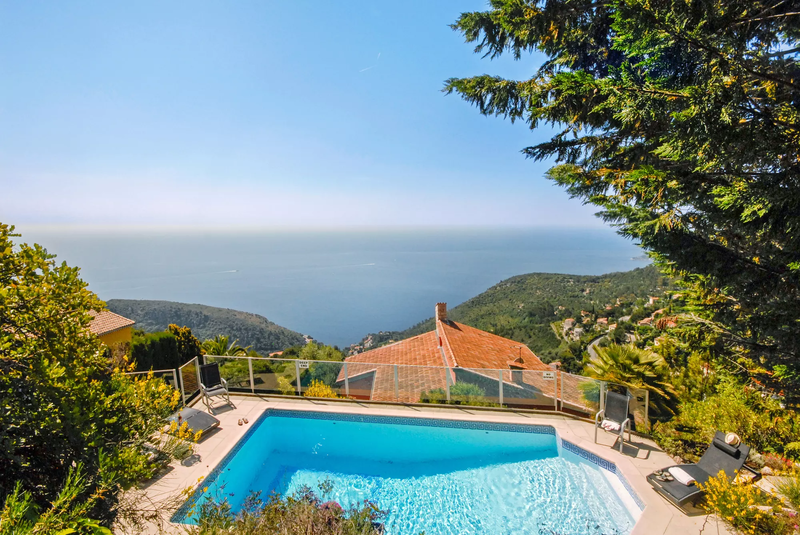 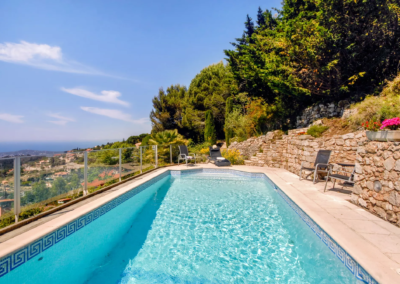 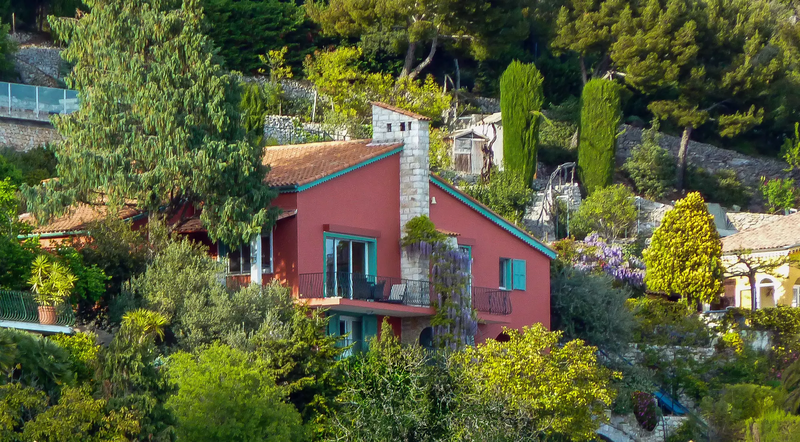 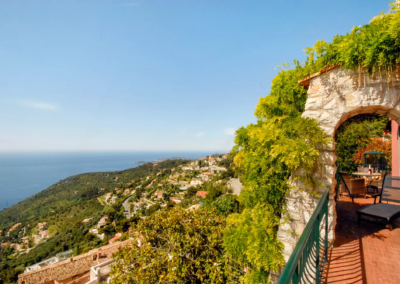 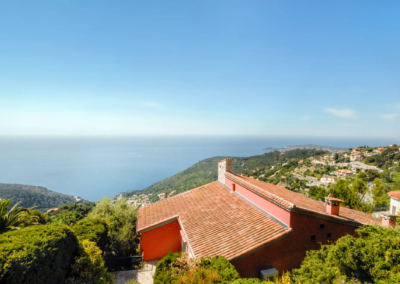 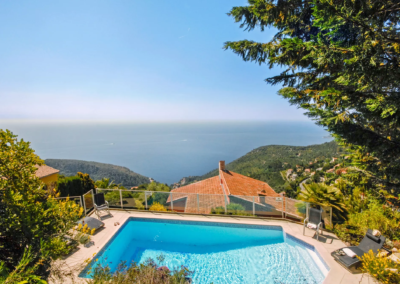 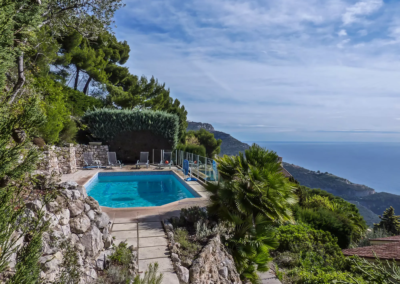 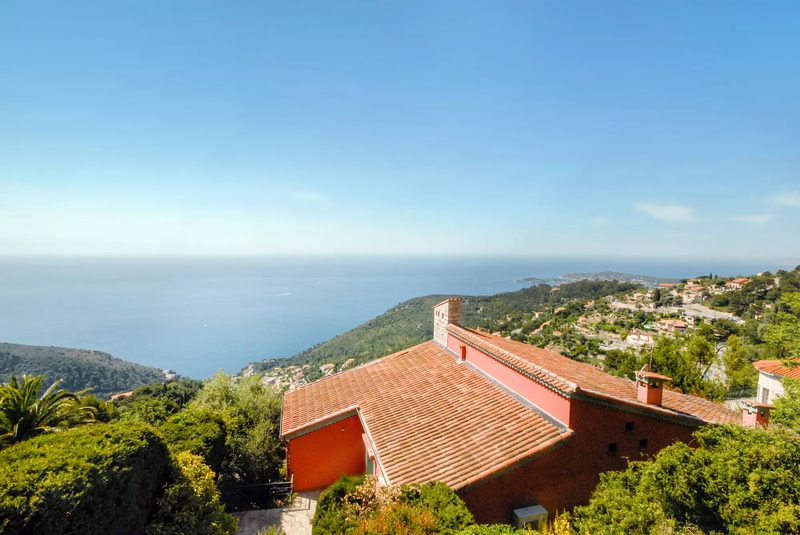 L’ Oiseau Marin is a luxury villa with pool near Nice, perched on a hilltop above the sea close to the beautiful village of Eze. 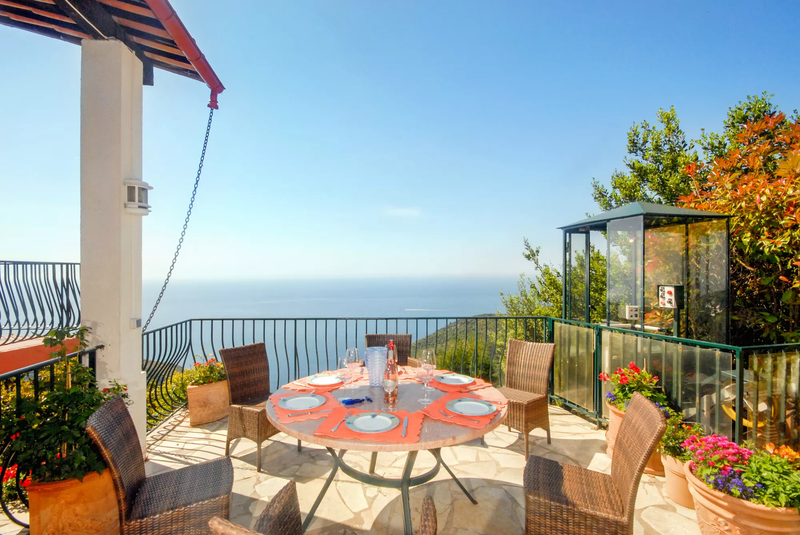 Gentle sea breezes and uninterrupted views of the Mediterranean create a wonderful holiday atmosphere. 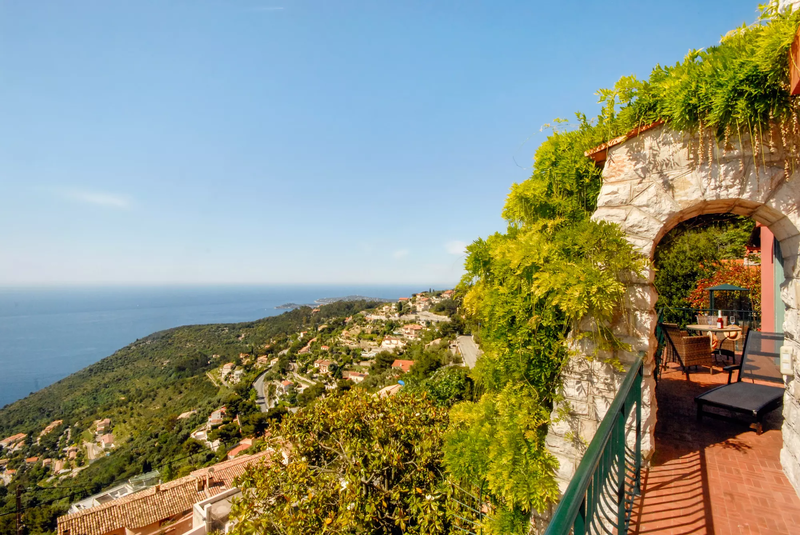 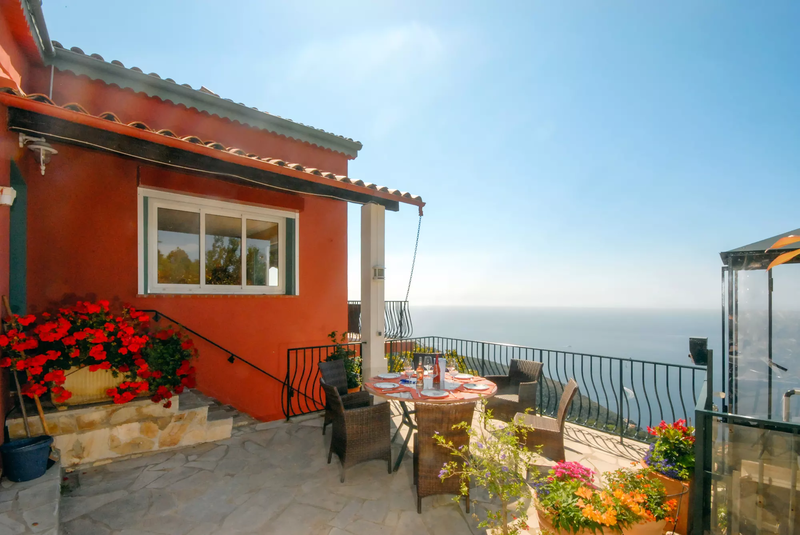 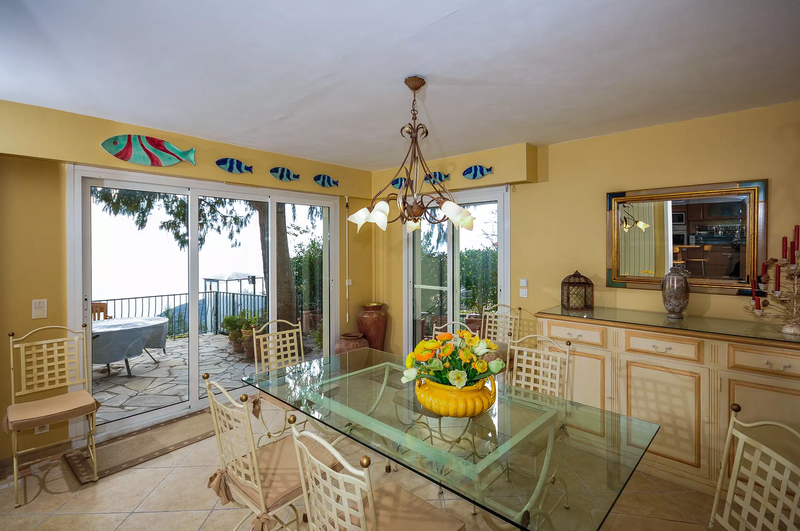 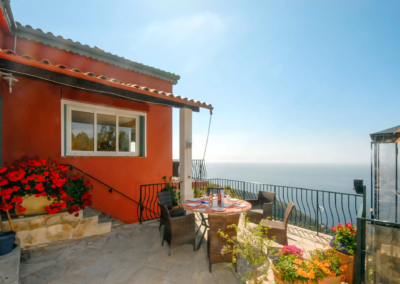 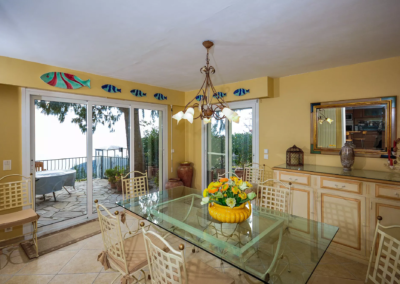 Eze is perched 400 m above the sea on an imposing cliff top, offering a panoramic view of the coastline. 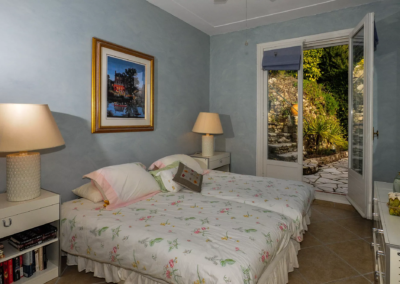 It is full of charm with narrow streets and archways, superbly restored stone houses, shady squares and refreshing ancient fountains. 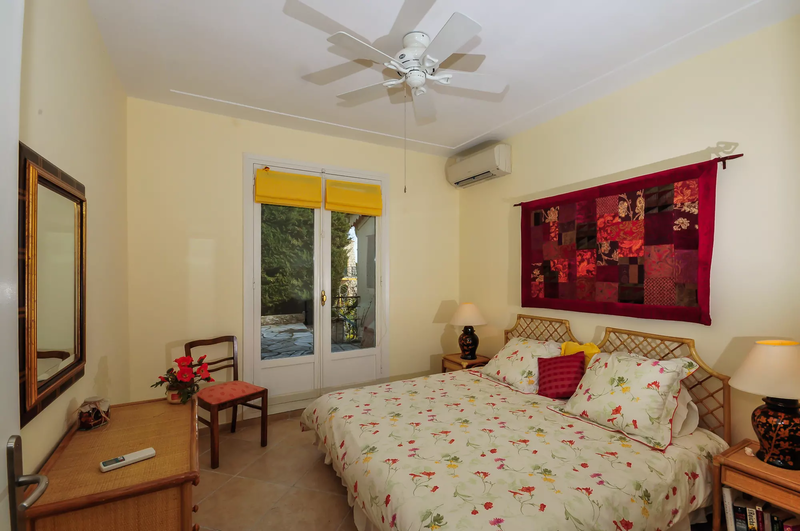 Visit the quaint art and craft shops, enjoy a meal in one of the restaurants here, or relax in the exotic botanic garden. 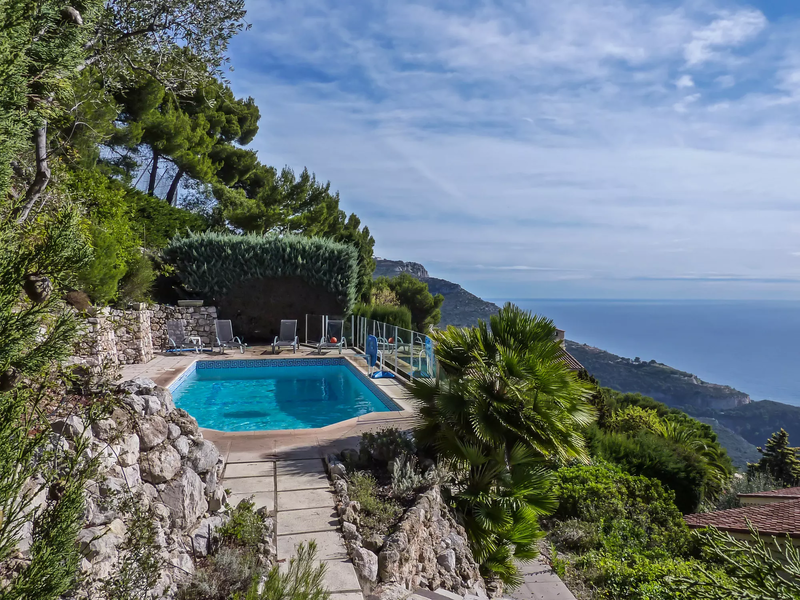 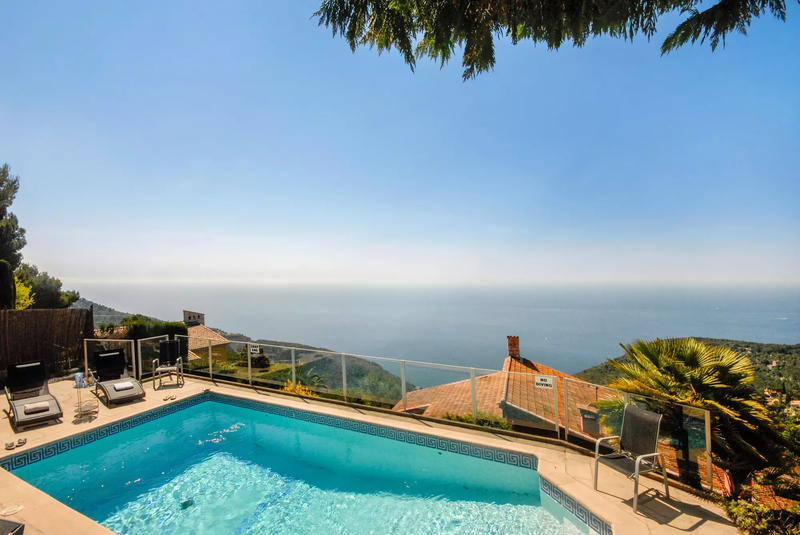 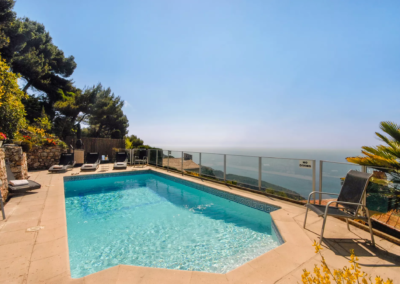 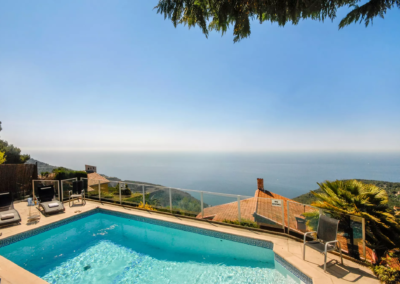 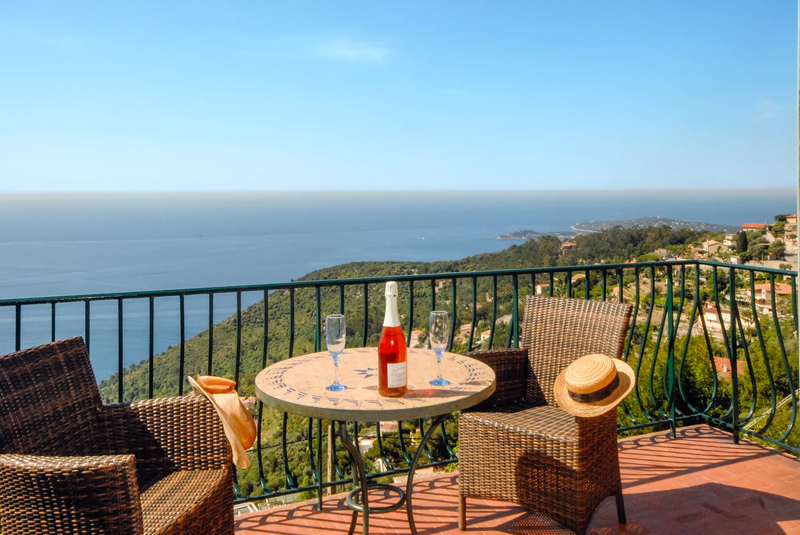 Just 20 minutes to the east of this Mediterranean holiday villa is Monaco with all its glitz and glamour, or 20 minutes west is Nice and the renowned Promenade des Anglais. 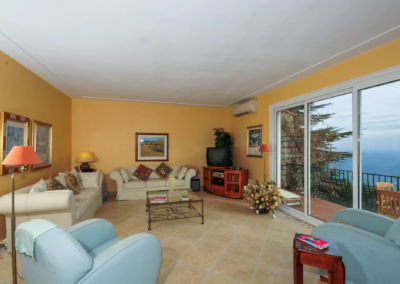 Living room, (TV/DVD/CD), air-conditioning, French doors onto terrace overlooking the sea. 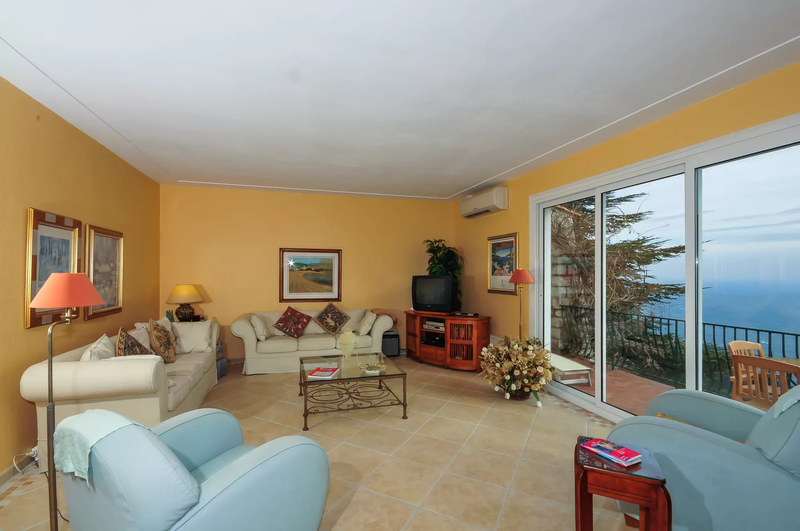 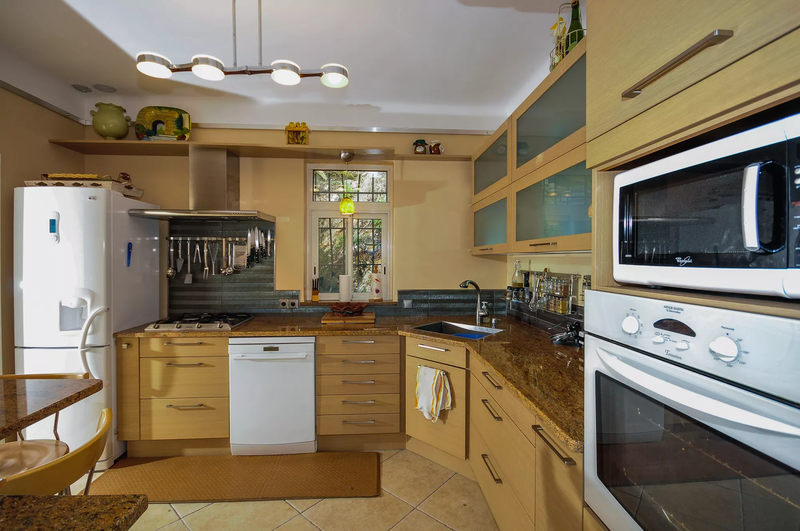 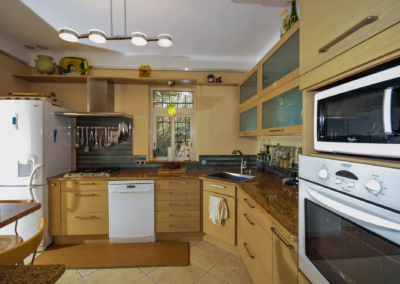 Open plan kitchen/dining room, air-conditioning, French doors to dining terrace overlooking sea. 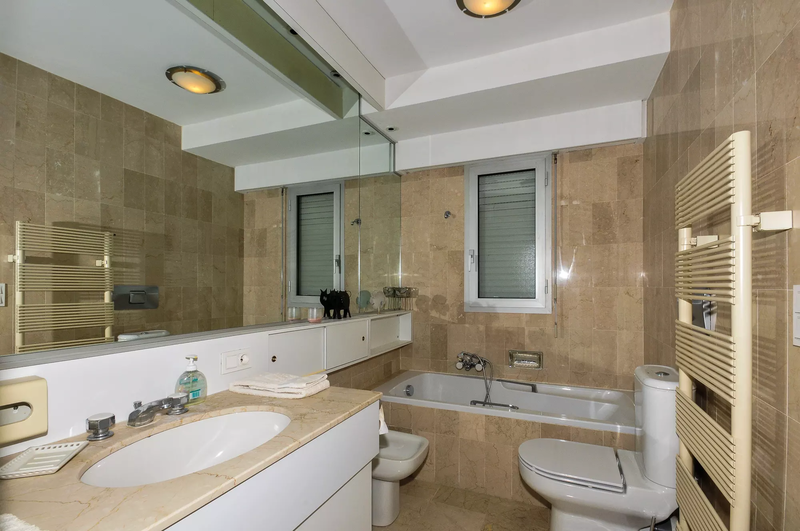 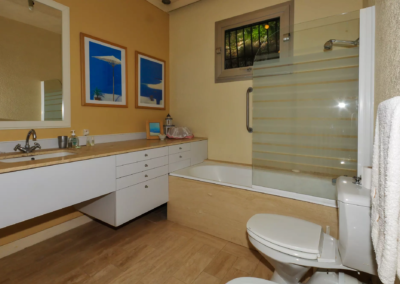 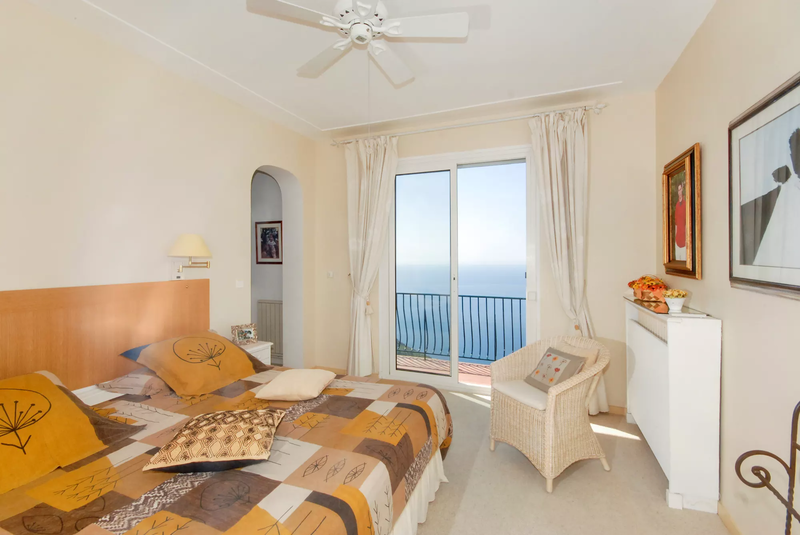 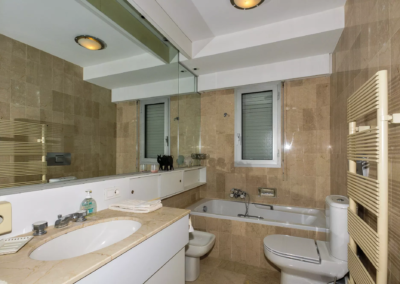 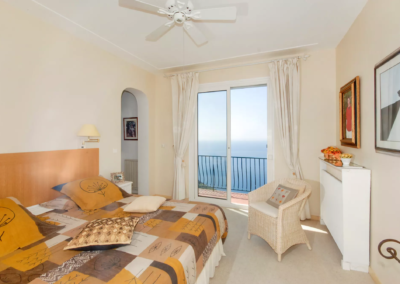 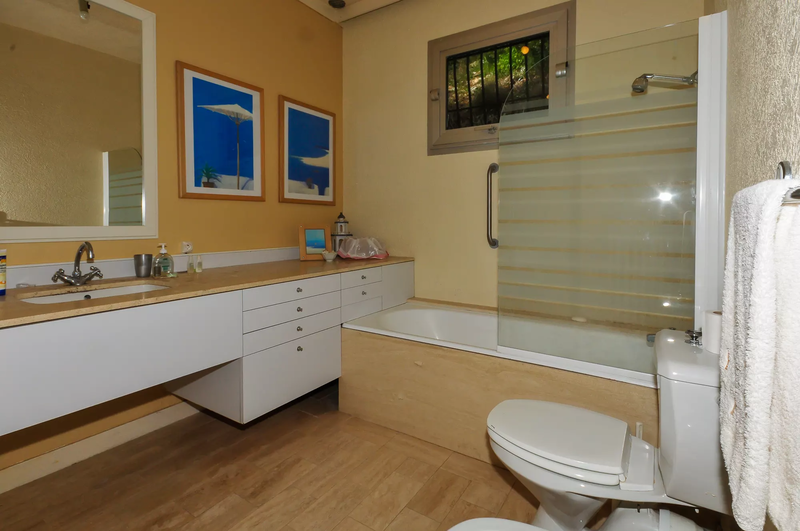 Master bedroom (2.00m), air-conditioning, French doors onto terrace overlooking sea, ensuite bathroom with separate shower cubicle, WC, dressing room. 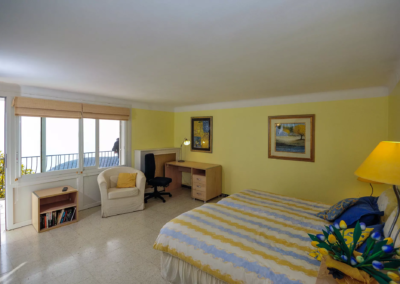 Double/twin bedroom (1.80m or 2 x 0.90m), air-conditioning, French door to patio. 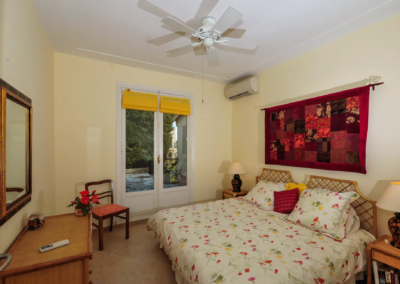 Double/twin bedroom (1.80m or 2 x 0.90m), air-conditioning, French door to terrace. 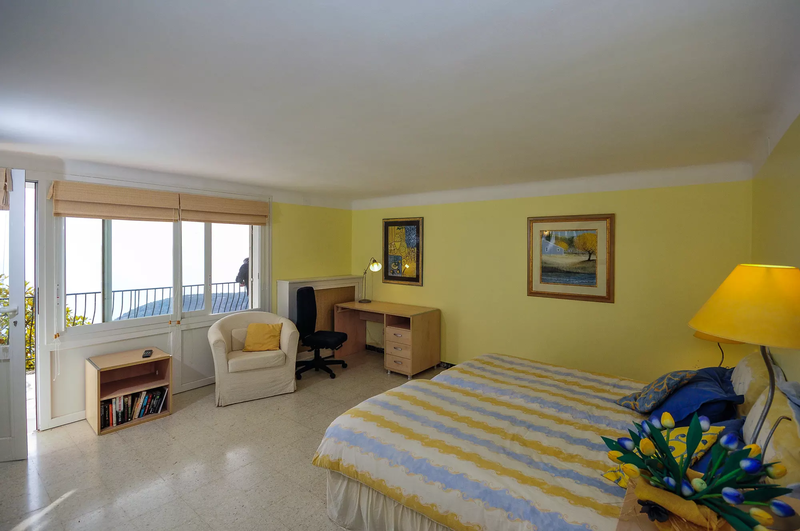 Double/twin bedroom (1.80m or 2 x 0.90m), (TV/video), portable air-conditioning unit only in this room, sea view. 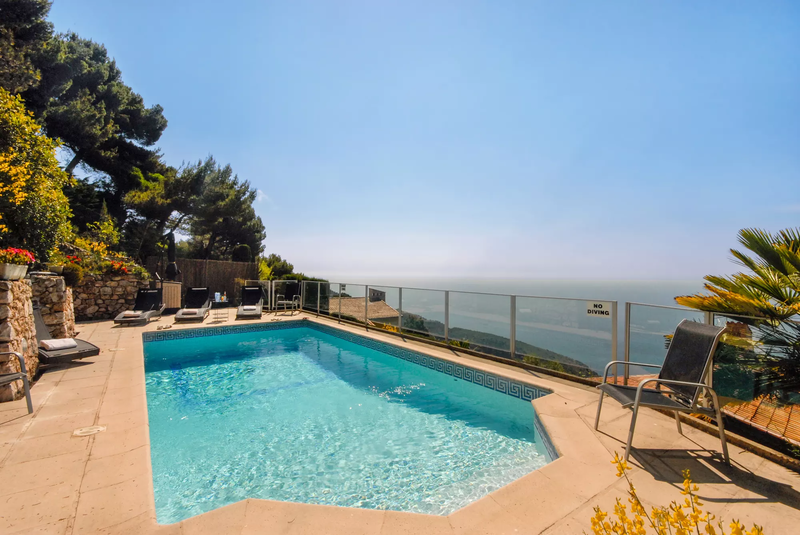 The stylish rooftop pool and the 5 minutes walking distance to the beach.